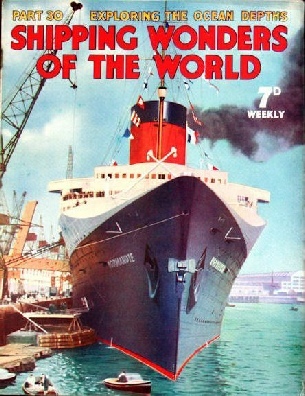 Part 30 of Shipping Wonders of the World was published on Tuesday 1st September 1936. 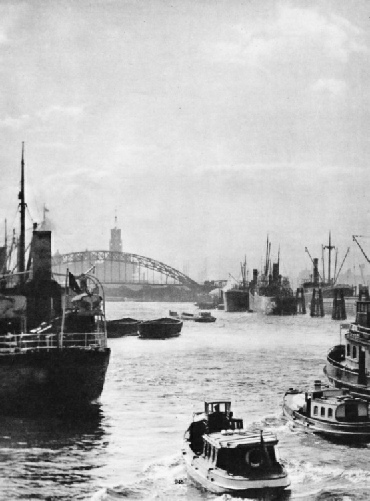 It included a centre photogravure supplement featuring German shipping, which formed part of the article of the same title. 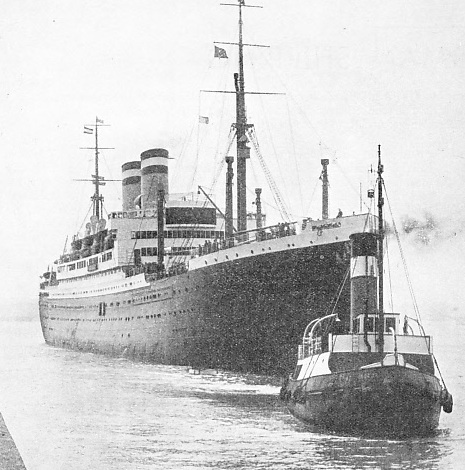 The story of the Normandie is described in part 3. This cover illustration was later reproduced as the colour plate in part 53. Concluding section of this article from part 29. Crippled as Germany was by the war of 1914-18 and by the surrender of the greater part of her merchant tonnage, in reparation for the damage done by her submarines. Thus her shipping tonnage dropped to almost nothing. 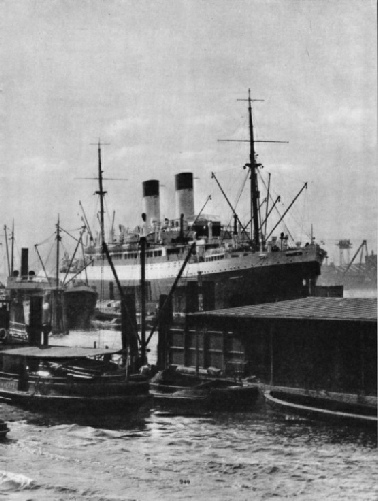 The Cunard White Star liner Majestic, to quote one well-known example of a surrendered vessel, was originally the Bismarck. A vigorous policy of reconstruction was embarked upon, however, under State control and, due chiefly to these Government measures, the German fleet can to-day claim to be one of the most efficient in the world. This fine and efficient fleet embodies many German inventions of naval architecture and engineering. 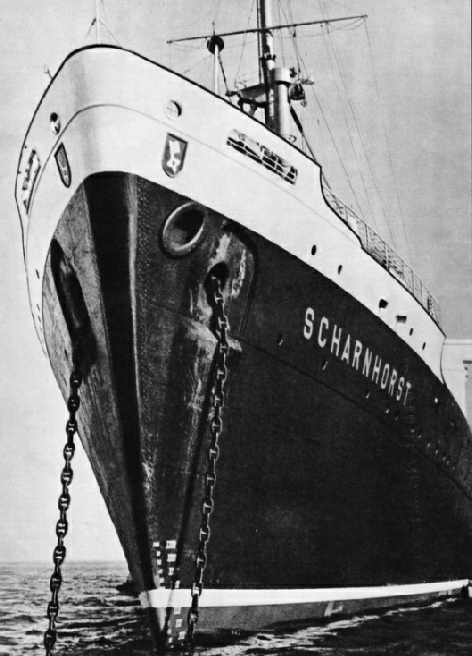 This chapter is by Frank Bowen who describes all branches of German shipping, from the barges and river steamers which ply up and down the Rhine and other German rivers, to the giant liners Bremen and Europa, which carry passengers between Germany and the United States. 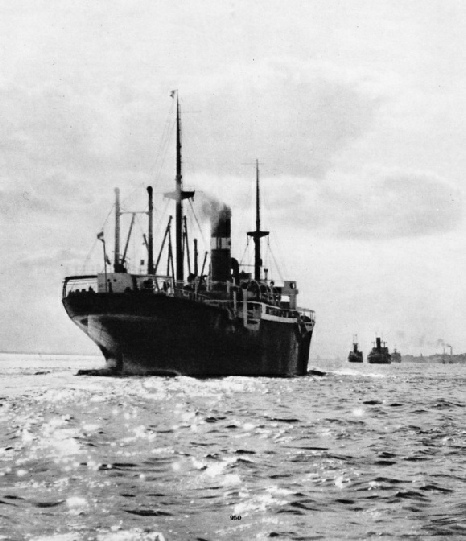 The article is the sixth in the series on Sea Transport of the Nations. These craft are employed for repairing the marine cables which form the vital links of world communication. The ships have two main functions. They lay the cable or they pick up the cable and make any repairs that may be necessary after damage in a storm. The Faraday (illustrated above) shows that she has four cable tanks. The ship has a clipper stem adapted for carrying three cable sheaves, and a cruiser stern with two sheaves on the starboard side. There is also a large hold forward of the cable tanks for stowing buoys and other gear incidental to cable work. The shelter deck is the working platform for cable repairing, testing, jointing and the like; at the bow are three cable sheaves. Immediately forward of the main cable machinery hatch is a dynamometer for registering the pull of the cable, and abaft this hatch is a steel house and shelter for the control gear to the picking up machinery. The main propelling machinery consists of twin sets of three-crank triple-expansion engines. Collectively they are designed to develop 2,960 ihp when running at about 88 revolutions a minute. Her engines can drive the vessel, if necessary, at three-quarters of a know. The Faraday has a length between perpendiculars of 394 ft 4 in. She has an extreme breadth of 48 ft 3 in and a draught of 27 ft 5¾ in. Her gross tonnage is 5,533. 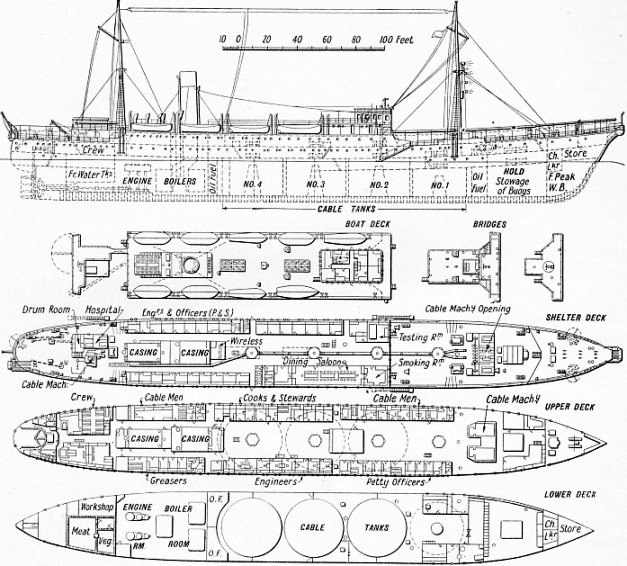 This is the twenty second article in the series on Merchant Ship Types. On the West Coast of Scotland and in the Islands, where there are few railways and where roads are indifferent, transport depends almost entirely upon the sturdy packets which range from early paddle steamers to modern diesel-electric ships. This chapter describes the services maintained by the MacBrayne boats, and gives particulars of some of the best-known vessels. 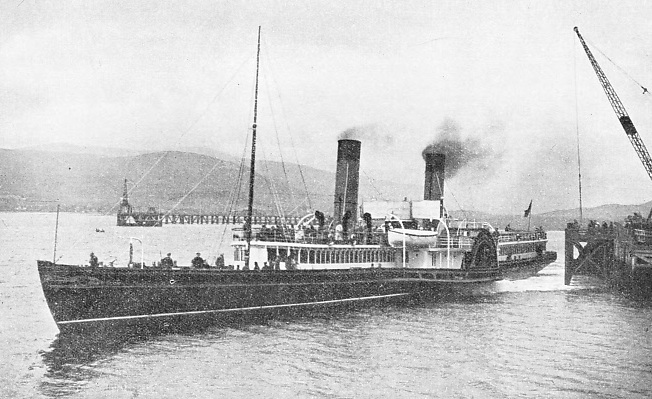 Readers of Boswell’s “Journal of a Tour to the Hebrides with Dr Johnson” will be particularly struck by the difference that the last hundred years have made in the shipping in this part of the world; tourists nowadays can do their travelling in much greater comfort than was enjoyed by the Doctor. The article is by C. Hamilton Ellis. During a voyage that circumnavigated the world in 1872-76, HMS Challenger made a continuous survey of the depths of the sea, its temperatures and currents, and obtained extraordinary specimens of the vegetable and animal life that exists at astounding depths. The Royal Society was the chief promoter of this expedition. 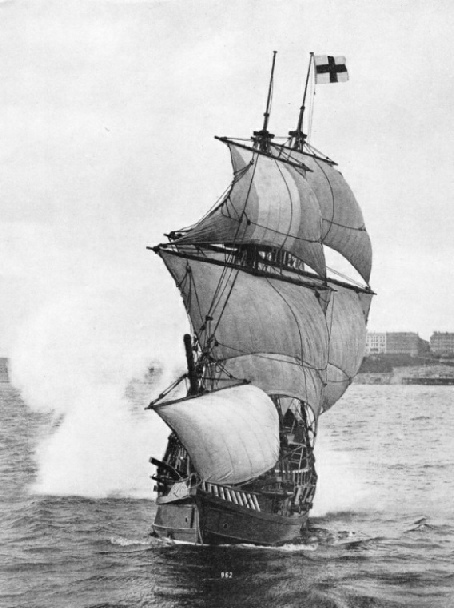 A distance of nearly 70,000 miles was covered during the voyage, which involved the circumnavigation of the globe. 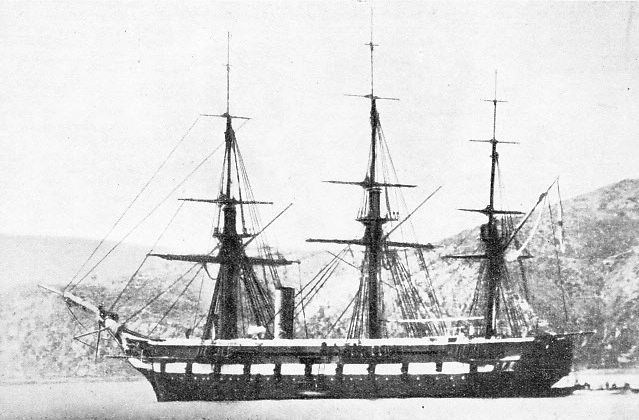 In addition to her other calls, the Challenger visited the inhospitable island of Kerguelen, in the South Indian Ocean, previously visited in 1776 by Cook and in 1840 by Ross. From Kerguelen the Challenger went south, crossing the Antarctic Circle. On March 23, 1875, a depth of 4,475 fathoms (26,850 feet) was recorded in the Pacific. 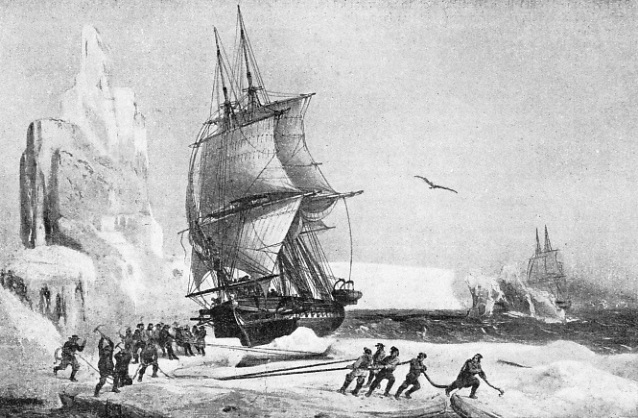 Besides recording the depths at various points, the Challenger expedition noted differences of temperature (thus making important discoveries about the currents below the surface), the character of the sea-bed and the animal and plant life to be found there. This article is by Peter Duff. 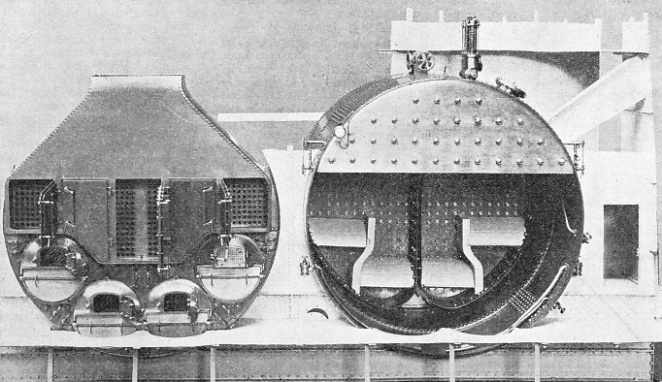 Considerable improvement in the power and efficiency of marine boilers followed upon the adoption of the Scotch boiler about 1870 and has continued with the subsequent development of the water tube boiler. This chapter is by F E Dean and is the ninth article in the series on Marine Engines and Their Story. Although Sir Francis Drake was the second man - and the fist Englishman - to circumnavigate the world, his importance in the history of the sea does not rest solely on this feat. His fine seamanship and adventurous spirit set an example to British seafarers which was largely responsible for the rise in Tudor times of British sea power. This chapter is by Sidney Howard and is the fifth article in the series on Supreme Feats of Navigation. The article is concluded in part 31.